If you are a Mom to a baby or a toddler you may know how hard the potty and pee time is. I regularly use wipes for cleaning my son after his potty time. He recently turned three and yes I still use them. They are also versatile while travelling for wiping off hands when your little one eats a chocolate or messes his mouth area. Long back when my son was 5 months old he had rashes over his face due to Johnson's baby wipes, so I stopped using them and switched to another brand. Brand Claims - I know how much mess a little one can make and that is why I am here to help you. Whether you're changing a diaper or need to wipe up baby's face after a messy meal, I am gentle and safe for all parts of your baby's delicate skin. I am pediatrician tested, hypoallergenic wipe, soft and ideal for sensitive skin. I am made from 100% Organic Bamboo and hance I don't cause rashes. I am enriched with Vitamin E, Shea Butter, Almond Oil and Aloe vera to gently nourish your baby's skin. 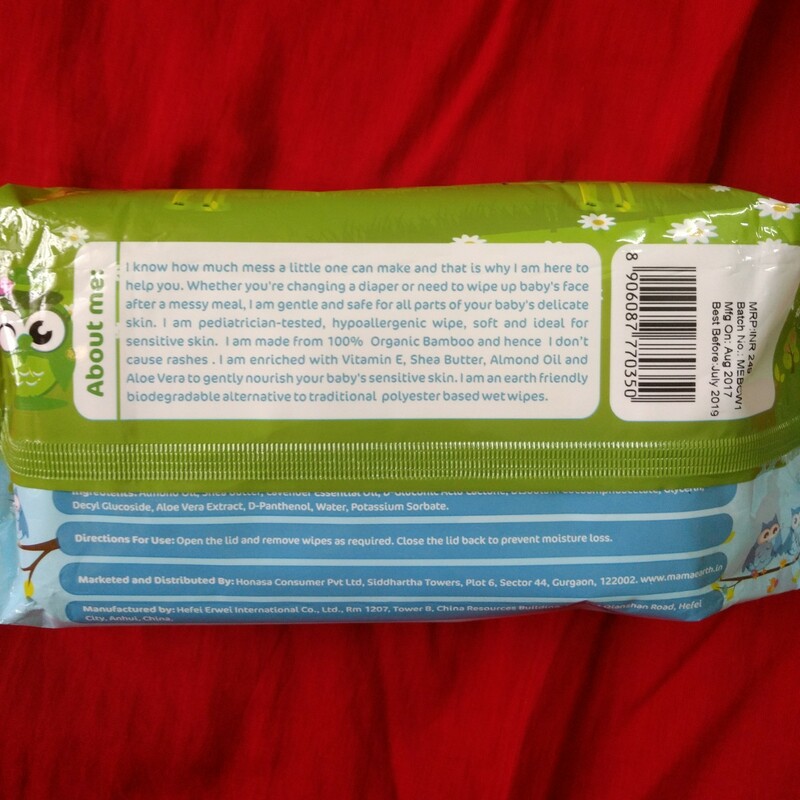 I am an earth friendly biodegradable alternative to traditional polyester based wet wipes. 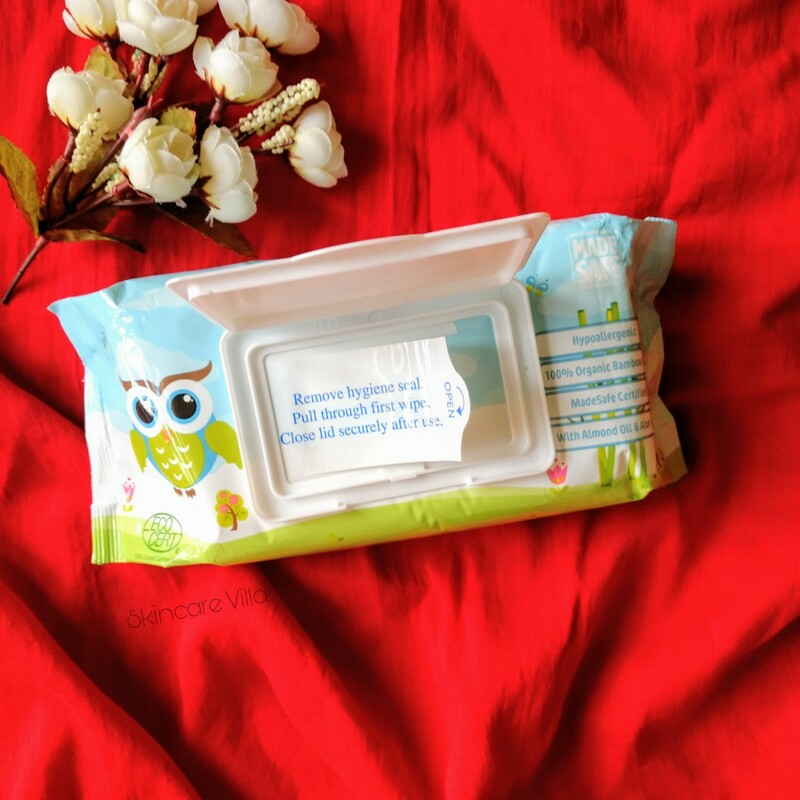 Firstly the wipes come in with protective lid underneath which the hygiene seal is there. I especially like the protective plastic lid as after few usages the hygiene seal does lose its stickiness and we have to keep the wipes upside down to prevent moisture loss. Although this practice is not good, cannot help with tje wipes I usually buy as they just have a hygiene seal. Coming to the texture of the wipes the wipes feel more cottony rather than regular wipes. I was unaware of the fact that commercial wipes were made of polyester. Coming to the fragrance of the wipes it is more of citrusy fresh fragrance which isn't too strong and doesn't linger much after usages or when wiped on hands or face. I usually use wipes only on my son's bu* and not on any other body parts. I usually like wiping my face with baby wipes while travelling or in hot summers. 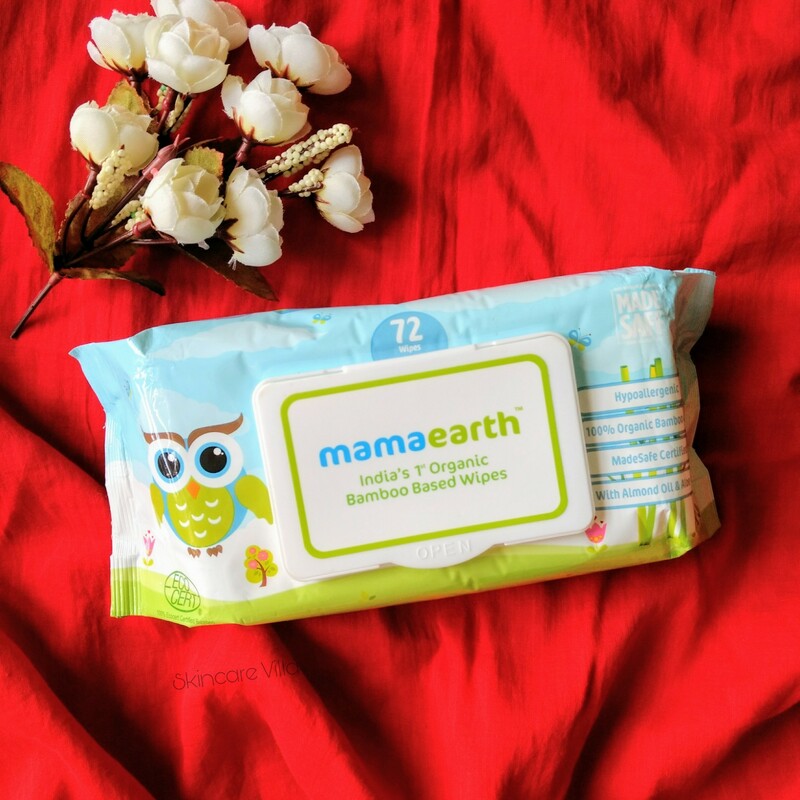 I could clearly feel the difference in the texture of the Mama Earth wipes and the commercial ones I have. Since these are made up of we don't need to worry about our Earth being dumped with polyester or non degradable materials. 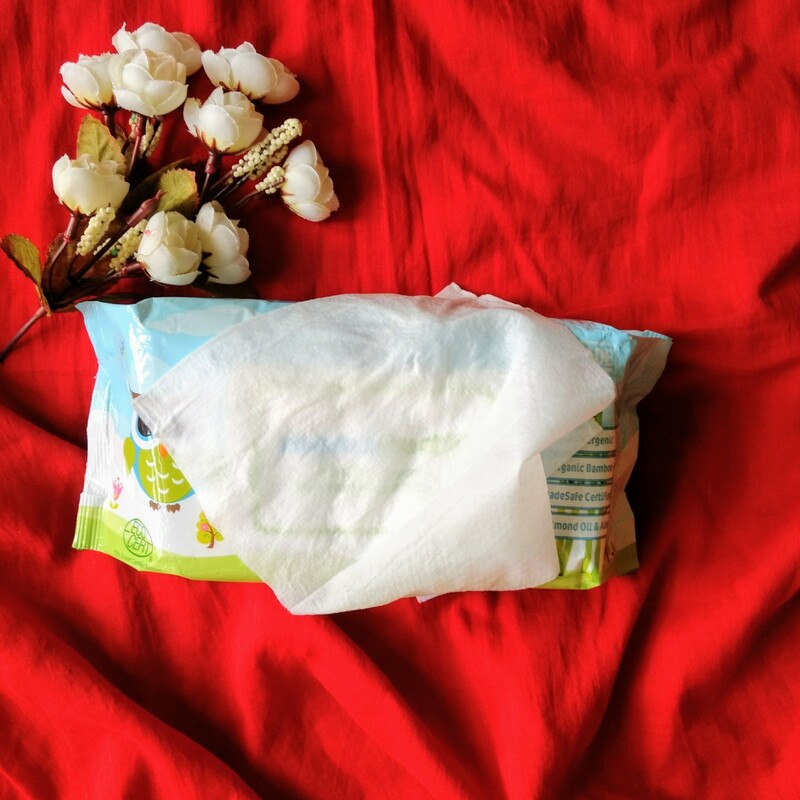 Price, Shelf life, Availability - 249 INR for 72 wipes with a shelf life of 2 years. Available on major shopping portals.